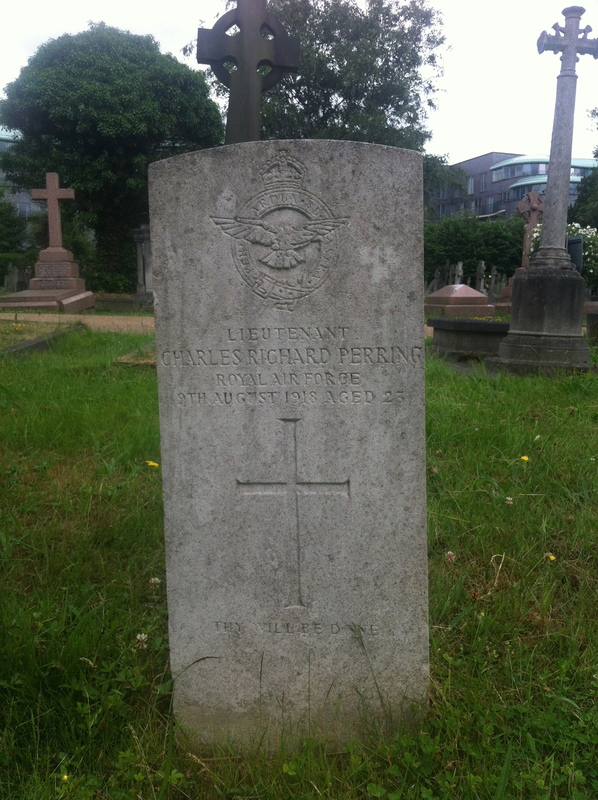 CWGC lists lieutenant Charles Perring as belonging to the Aircraft Acceptance Park at Hendon Aerodrome in London. He was killed in an air crash at Lympne in Kent on 9 August 1918 and originally came from Johannesburg, South Africa. The Acceptance Parks were used to assemble and store aircraft before they were flown out to squadrons in France. It seems possible that lieutenant Perring was taking an aircraft from Hendon to France via Kent when he crashed. There is more about the history of Hendon airfield and the Acceptance Park here. This entry was posted in Events and tagged 1918, H, Hendon, news, Perring, RAF, South Africa. Bookmark the permalink.